Steel Grade: En 10305-1, En 10305-4 or equivalent. 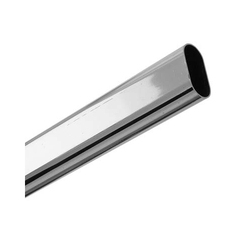 We are leading supplier of Elliptical Low Temperature Stainless Steel Tube. Due to opulent industry skill and experience, we are engaged in providing a comprehensive series of Steel Stock Tubings. 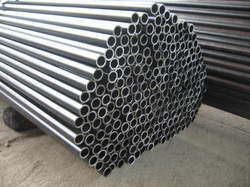 We offer our clients a wide range of Pipes and Tubes. These are highly acclaimed by our clients due to their quality features. Range: 15 NB Upto 1200 NB In SCH 5S, 10S, 10, 20, 40S, 40, STD, 60, 80S, 80, XS, 100, 120, 140, 160 & XXS. Form: Seamless / ERW / Welded in round and square. In a view to meet the diverse requirements of engineering sector, we are offering carbon steel tubes that are appreciated for their robust construction, high efficiency and durability. These tubes are available in different diameters, thickness and finishes thus providing full satisfaction to our clients. These are available at most competitive prices.